All participants must submit a completed Parade Application Form by the date established by the San Juan Bautista Parade Committee. No walk on/last minute sign ups will be permitted. All participants must pay a $25 fee by the date established by the Committee. Please make checks payable to the Parada San Juan Bautista, Inc.
All participants must check-in at the registration table, located at 4th & Elm Streets, on the day of the Parade. Participants will be given a number which must be displayed at all times during the parade. The numbers will be collected at the Judges Reviewing Stage. Line-up begins at 9:00 a.m. on Parade Day at the Rafael Cordero Molina School, Seventh & Elm Streets in Camden, New Jersey. Kick-off shall be at 12:00 p.m. SHARP! All vehicles in the parade must be decorated and in good working order and must comply with the Motor Vehicle Laws of the State of New Jersey. The operator’s driver’s license, registration card and insurance policy must be presented. There shall be no more than 5 vehicles per one entry (per participant). Participants must supply their own music and/or sound equipment (CD players, CD’s, etc.). The Committee assumes no responsibility for the participant’s music and/or sound equipment. Participants are limited to three (3) minutes for their performance at the Judges Reviewing Stage. All music must be cued and ready to play at the stage. Music MUST be in “GOOD TASTE” with ABSOLUTELY no foul language. Within the discretion of the Committee, participants’ attire MUST be in “GOOD TASTE”. Participants may not engage in political campaigning nor distribute political propaganda during the parade. Participants may not consume and/or distribute alcohol and/or illegal drugs during the parade. Participants may not engage in any activity that may represent a safety hazard to the participants or spectators, throw flowers, fruits, flyers, etc. Items may be handed out, not thrown. Puerto Rican flags with any other emblem and/or design will NOT be permitted in the parade. Any altered Puerto Rican flags will be immediately removed from the parade. 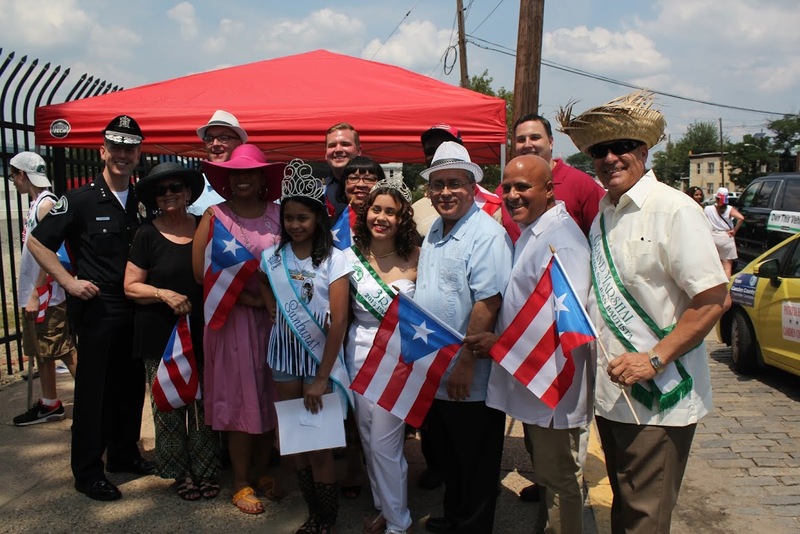 Groups with active San Juan Bautista Parade Committee members participating in the parade are exempt from receiving awards. Awards Presentations will be at the Post-Parade Concert at approximately 6:30 p.m. Only the contact person listed on the Participation Form will be eligible to receive the award. The Parade Committee shall be the final arbitrator of all awards. Any groups of individuals marching in formation; including color guards, drill teams, baton units, marching bands, military and/or uniformed units, and fraternal orders/lodges. Participants paid by the Parada San Juan Bautista, Inc. to be in the parade. Political entities, including political candidates, elected officials and political action committees. 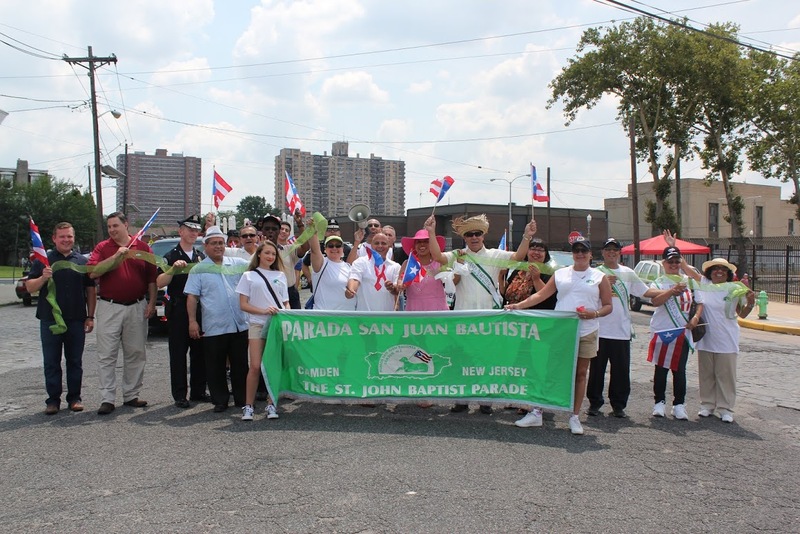 Groups with active membership in the Parada San Juan Bautista, Inc. participating in the parade are exempt from receiving awards.